8 – Open for breakfast and lunch. This location is not a quick dinner spot, so if you want to dine here you have to plan accordingly. The location is only open for breakfast and lunch. Breakfast is open as soon as the park opens, so you will be able to head right there. The location typically closes around 4PM each day, so you will need to fit any lunch or super early dinner plans in before then. 7 – The seating is outside. If you are looking for a break from the heat to dine in the air conditioning, then this isn’t the location for you. The seating for the restaurant is outside of the location. The seats do have umbrellas over them, so you at least get a break in the shade to enjoy your food. You do go inside to order and get all of your items, so you can at least cool off during that. It is a good idea to have at least one person in your party save your table for you while some of you go and get the food. 6 – Portions are huge. The portion sizes are pretty large, especially when it comes to the sweets. You definitely won’t leave feeling starved and most of the desserts are definitely shareable with other members of your party. They are rich, too, so I recommend planning to share first since you can always go back for more if you want it, but you will likely find yourself to be pretty full. 5 – Curb your sweet tooth. There are TONS of dessert options there. There are cupcakes, cakes, cookies, and various other goodies. 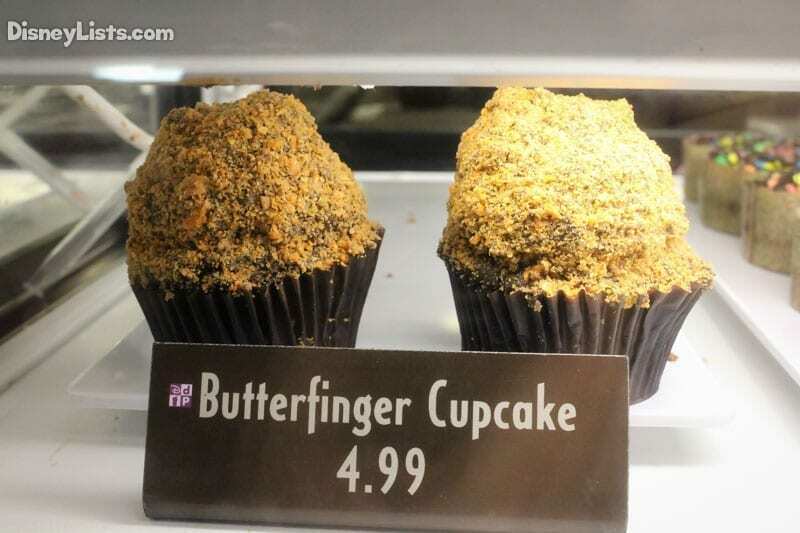 You can also find many of the themed cupcakes for the park based on different events and happenings currently at the park. The desserts are also pretty large, so some folks could make a meal just out of the desserts themselves! If you are looking for something sweet, this is a great spot to stop in and get something delicious. This location has just about everything you could want. You have a coffee bar with various syrups and add-ins, which could also be put in the sodas. You also have all kinds of juices and other drinks available. Not only that, if you are looking for wine, beer, etc. you can also find a selection of alcoholic drinks available for purchase, too. If you need to quench your thirst, you have tons of options to do so without needing to venture to other locations to meet everyone’s needs. 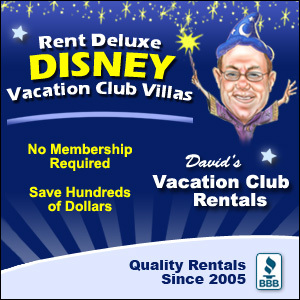 3 – No reservations are accepted. Since this restaurant is classified as a Quick Service location, there are no reservations available for breakfast or lunch. You will have to wait in line to order and pay for your food, and then wait at the counter to get your food and all of your items. You will want to be mindful of this so that you can minimize the time that you spend waiting in line and ensure that you are able to find a table to sit at and enjoy the meal with your family. 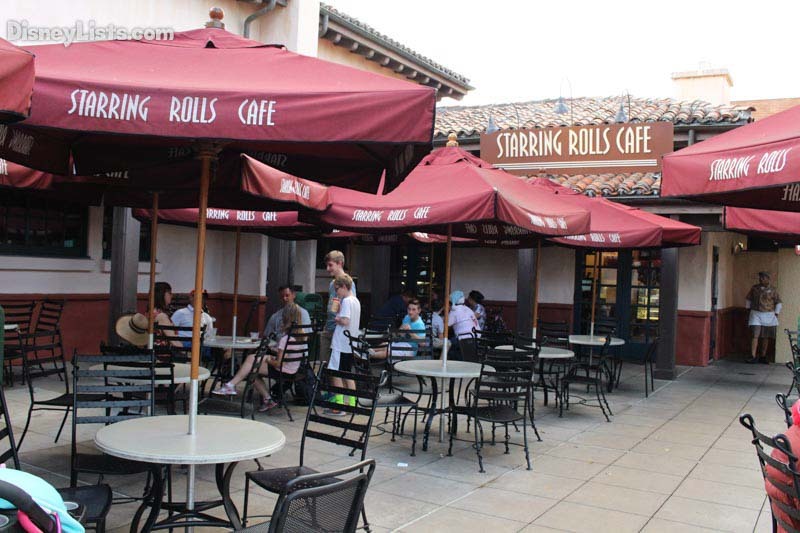 2 – Disney Dining Plan is available at the location. You may not be able to make dining reservations, but you can definitely utilize your Disney Dining Plan at the location. You can either use snack entitlements or one of your quick-service entitlements depending on what you intend to order. 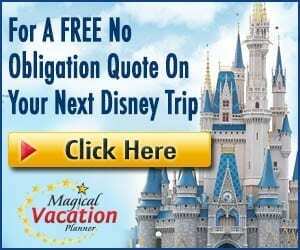 The cast members at the location can help you get the most use out of your entitlements and go over what all is covered if you are having trouble with it. 1 – Serves the Brown Derby’s Grapefruit Cake. 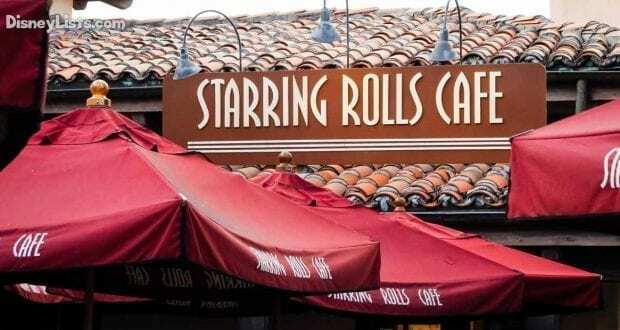 If you have always wanted to try something from the Brown Derby, but haven’t been able to dine at the restaurant, you have the opportunity to try their signature Grapefruit Cake right at Starring Rolls Cafe. The restaurant is right next door, and they serve the menu item there. The Grapefruit Cake was a signature item from the original restaurant in Hollywood that the Hollywood Brown Derby was created as a replica after. It has remained on the menu and is extremely delicious. You must give it a try!